While good nutrition and physical activity are vital steps toward losing weight and maintaining a healthy lifestyle, often overlooked are the psychological and physiological components as factors for weight loss success. Anyone who has tried to shed more than a few pounds knows that it can be an epic battle of body and mind, a back-and-forth between one’s genetic makeup, brain chemistry, hormones, emotions, and environment. Unfortunately for many, simply adhering to the conventional wisdom of diet and exercise is usually not enough to bring about long-lasting change. Used therapeutically for nearly 6,000 years, essential oils have been prized for their unique healing properties. A hydrophobic liquid composed of highly concentrated volatile aromatic compounds, essential oils are derived from the roots, seeds, flowers, fruits, and leaves of plants. Although ancient Egyptian, Chinese, Roman, Greek, and Indian cultures used essential oils medicinally, cosmetically, and spiritually for millennia, modern scientific research on the curative, mood altering, and physiological benefits of essential oils, although slow, has yielded promising results. 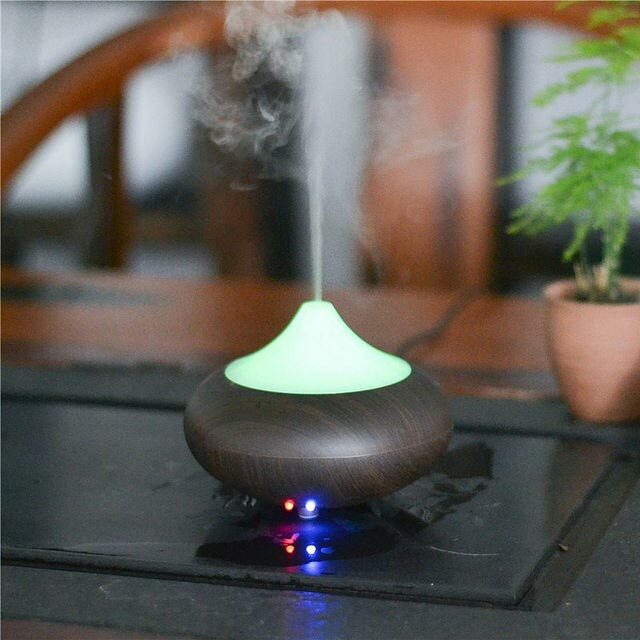 Aromatherapy, in particular, is thought to stimulate parts of the brain which in turn has a positive impact on physical, emotional, and mental states. The human nose can detect one trillion different odors and olfactory glands are capable of near-immediate interaction with the brain’s amygdala and hippocampus – the seat of human emotions and memory. Inhaling molecules through the nose also communicates with brain receptors that control blood pressure, heart rate, stress levels, attention span, learning, pleasure, and motivation. 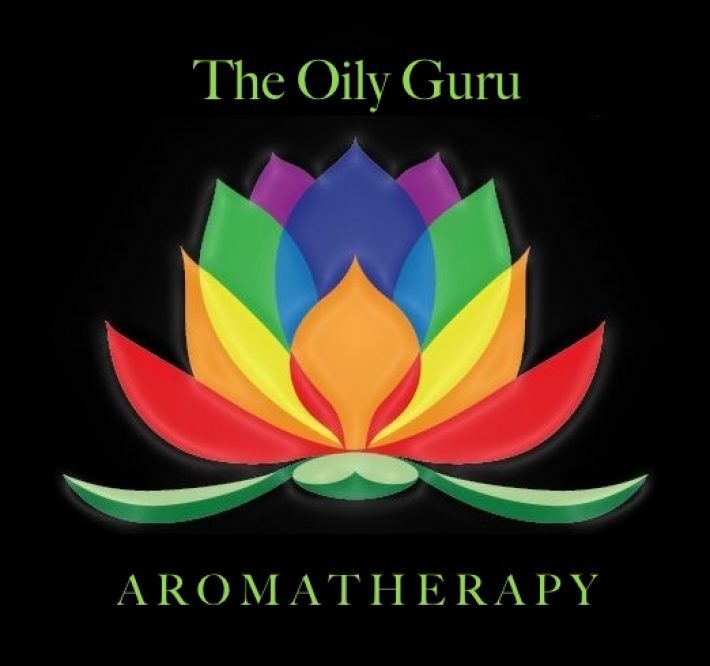 You may already know that essential oil aromatherapy can be an effective treatment for anxiety and hormone imbalance. While there’s no substitute for diet and exercise, many of the hurdles to losing weight (and keeping it off) have a psychophysiological basis. Whether you struggle with emotional eating, dieting fatigue, lack of consistent motivation, slow metabolism, cravings for sweet foods, low energy, poor digestion, or depressed moods, using essential oils as part of your fitness program could be the missing piece that helps propel and sustain you in your weight loss goals. Commonly used as an antiseptic and disinfectant, grapefruit oil has a sweet, crisp, and uplifting aroma. Grapefruit contains nootkatone, a natural chemical compound. Nootkatone stimulates a specific enzyme (AMPK to be precise) that controls the body’s energy levels and metabolic rate. When nootkatone is introduced into the system, AMPK accelerates chemical reactions in the tissues of the brain, liver, and skeletal muscle. Research on the interactions between nootkatone and AMPK have resulted in increased endurance, reduced weight gain and a decrease in body fat, as well as improved physical performance. In another study lab rats were exposed to grapefruit oil three times per week for 15-minute intervals. The outcome: reduced appetite and weight loss. It is thought that limonene – grapefruit’s primary component – induces lipolysis, the process whereby body fat and protein is broken down and dissolved. Want to try grapefruit essential oil? Cold pressed from the peel, lemon oil has a clean pick-me-up scent with slightly sour overtones. Lemon also contains the fat-dissolving powers of limonene. Supporting the findings of the aforementioned grapefruit oil study, researchers found that lemon oil used in conjunction with grapefruit oil increased lipolysis. 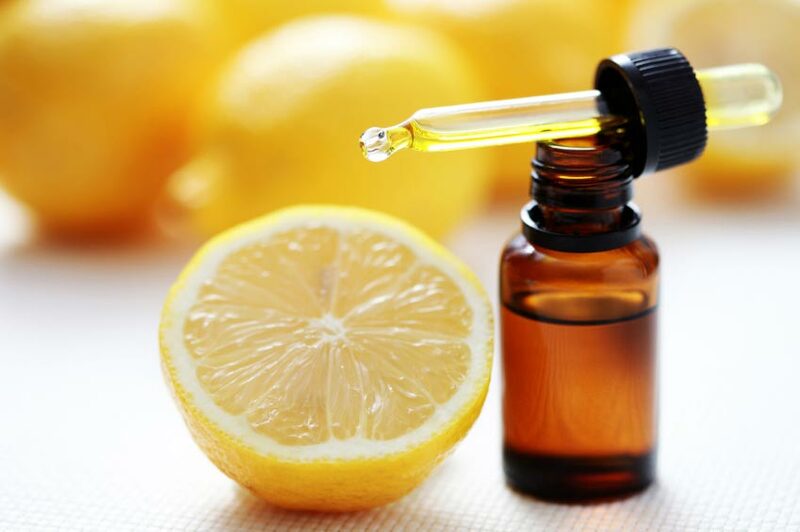 As a mood booster, lemon oil is a particularly powerful treatment for alleviating negative feelings. It also raises norepinephrine levels, a stress hormone and neurotransmitter that is responsible for the fight-or-flight mechanism. Consequently, norepinephrine increases oxygen in the brain for better cognitive function and ramps up heart rate and blood flow which allows muscles to work faster and better. Aches and strained muscles may prevent you from keeping up with your workout routine, but lemon oil has yet another viable function as a pain reliever. Want to try lemon essential oil? Fresh, minty, and quite intense, peppermint oil contains menthol which has a calming and cooling effect. Containing up to 70% menthol, peppermint has been used medicinally for centuries to treat indigestion. Peppermint oil is an effective muscle relaxer, and when used along with caraway oil, it was found to ease the muscles of the stomach, reduce bloating, and improve the flow of bile – which allows food to pass through the body faster. In an experiment pitting peppermint oil against ylang-ylang, researchers discovered that volunteers who inhaled the peppermint aroma were more alert, had improved memory function, and were calmer in mood. Peppermint oil is also a natural appetite suppressant. 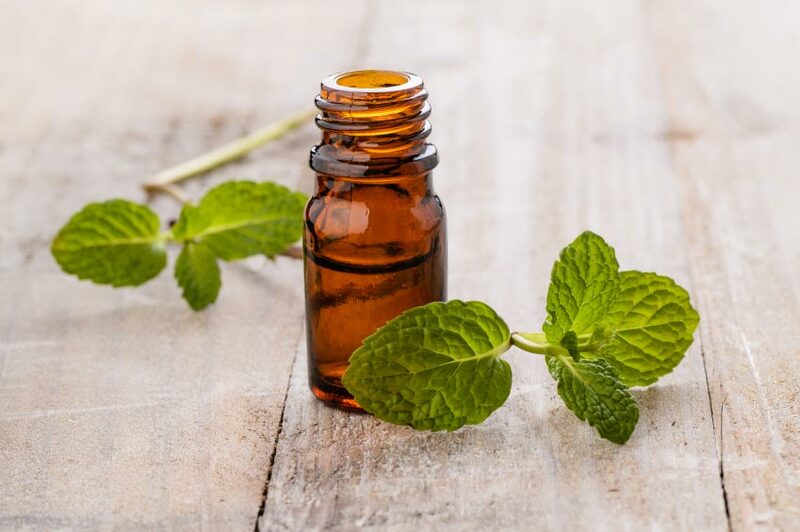 In a 2008 study titled Effects of Peppermint Scent on Appetite Control and Caloric Intake, participants who inhaled peppermint oil every two hours reported lower hunger levels and consumed “significantly fewer” calories. Want to try peppermint essential oil? 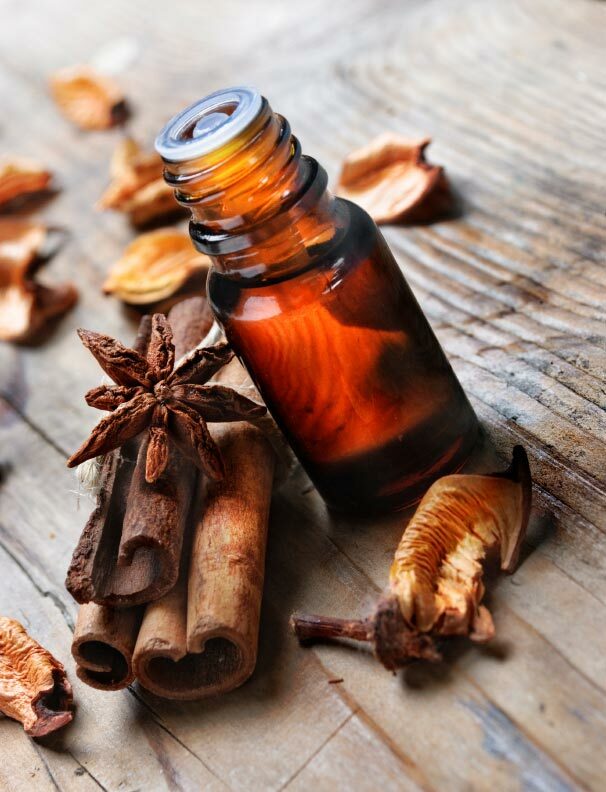 Derived from the inner bark or leaves of the Cinnamomum tree, cinnamon essential oil has a warm and sweet fragrance. Insulin is the hormone responsible for metabolizing carbohydrates and fat by facilitating the absorption of blood glucose by either converting it to energy or storing it as fat. When cells in the body stop responding to insulin – a condition called insulin resistance – the body erroneously begins to store fat instead of burning it, resulting in not only weight gain but also in difficulty losing weight. Leading to high blood sugar and elevated blood insulin levels, it is a precursor for Type 2 diabetes. Cinnamon extract, however, has been shown to help heighten insulin sensitivity in the brain and increase the rate of blood glucose uptake. Up to 25% of Americans are affected by metabolic syndrome, a confluence of disorders that include impaired glucose tolerance, abdominal obesity, insulin resistance, high blood pressure, high blood sugar, and high blood cholesterol. Certain inflammatory cells have been identified in the body fat of genetically obese people; cinnamon extract has demonstrated the ability to inhibit the production of these molecules, which could be an important factor for preventing weight gain in the first place. Want to try cinnamon essential oil? The aroma profile of the bergamot orange is a complex blend with sweet, tangy, and spicy notes. Anxiety and depression can sometimes lead to emotional eating, and while this may bring about a temporary sense of comfort and relief, eventually it piles on even more negative emotions like guilt and self-criticism. Bergamot oil offers a pleasant way to break this vicious cycle. A recent study examined the effects of just 15 minutes of bergamot oil aromatherapy. Not only did the study’s participants self-report improved positive emotions and increased energy, but researchers discovered that bergamot oil had an instant physiological benefit. To measure stress more objectively, they took saliva samples and tested them for cortisol – a hormone that is released as a stress response – and found that those who inhaled bergamot oil had much lower cortisol levels than those who did not. Want to try bergamot essential oil? Earthy and sweet, fennel essential oil is steam distilled from fennel seeds. Fennel is a source of melatonin, the hormone that naturally regulates circadian rhythms by signalling to the brain daily wake-sleep cycles. In addition to a more restful sleep, melatonin has also been found to reduce weight gain by creating more “beige fat” (which burns off as energy) rather than “white fat” (which is stored for energy). In the middle ages, fennel seeds were eaten to suppress the appetite on fasting days. This idea has garnered scientific support through a study on fennel oil aromatherapy performed on rats. Over the course of eight weeks, the rats inhaled fennel oil twice a day for 10 minutes; this resulted in fewer calories consumed and a faster rate of food digestion. Want to try fennel essential oil? Because essential oils are extremely concentrated plant extracts, a few precautions should be taken before using them for the first time. While breathing in essential oils is a very low-risk way to benefit from aromatherapy, essential oils used topically should always be diluted with a carrier oil before applying them to the skin. To avoid an adverse or allergic reaction, perform a small skin patch test on a sensitive area initially; if the skin looks fine after 24 hours, feel free to go ahead and use it all over the body. Another thing to keep in mind is that some essential oils, particularly those derived from citrus fruits, are phototoxic. When using these varieties on the skin, it is highly recommended to stay out of direct sunlight for 12 to 18 hours. Fat Reducing Massage – Mix together a quarter cup of almond oil with five drops each of grapefruit, lemon, and cypress oil. Anti-Cellulite Rub – Combine 10 drops of grapefruit, five drops of rosemary, and two drops each of cypress, peppermint, and ginger oils. Blend with a carrier oil before applying to the body. Rejuvenating Bath – Add five drops each of grapefruit, ginger, orange, sandalwood, and lemon to a warm bath. Appetite Suppressing Diffusion – Blend together 40 drops of mandarin, 20 drops of lemon, 12 drops of ginger, and 12 drops of peppermint and add a few drops of the blend to your diffuser. 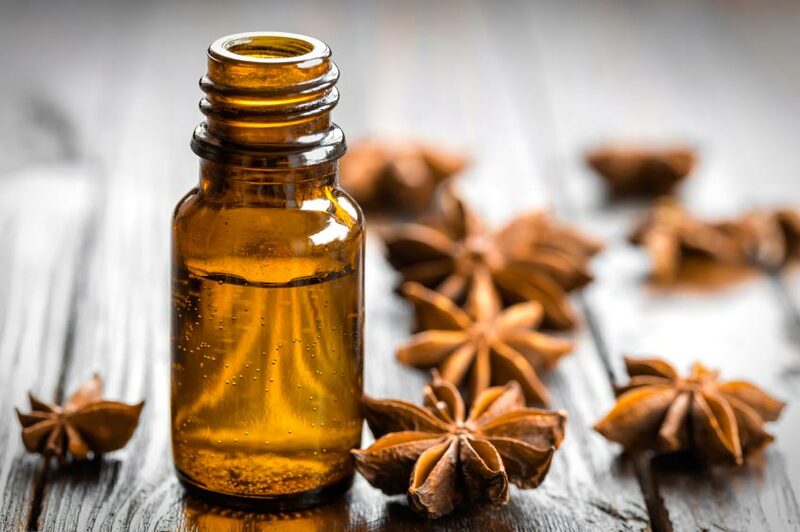 Metabolism Boosting Soak ­– Draw a bath and add two tablespoons of jojoba oil, 10 drops of rosemary, 10 drops of cypress, and eight drops of grapefruit oil. Craving Curbing Salve – Mix a half cup of olive oil with 80 drops of fennel, 40 drops of bergamot, and 24 drops of patchouli oil and massage on the abdomen. Essential Oils available for purchase at wholesale or retail pricing. Medical Cannabis Bill Advances in Texas! Good afternoon and thanks for this great post Roxy. I will purchase them and start trying them asap. By the way can I drop a little over the baby back ribs we’re about to wolf down with my son ? A kiss. Ciao! Yummy. I adore baby back ribs!!! Going to reblog for two reasons, quick personal reference and so my audience sees what a great post this is!! I wish I could highlight great passages like we do on Medium, I would highlight the part about how science is just realizing their effectiveness even though they’ve been around for thousands of years! Good job! I cannot wait to meet this knowledable lady in person very soon! Pay attention y’all!